Rent an adjustable sizing crank to find out what length crank works best for you. This adjustable crank can move from 185mm to 215mm. It uses a square taper bottom bracket and has a 130bcd spider. We will send the crank with a bottom bracket. 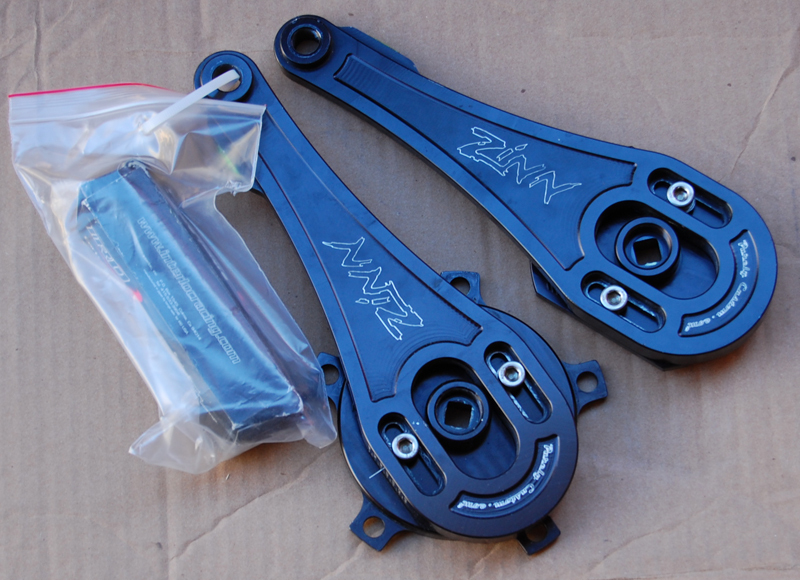 We have two different types of sizing cranks, so the ones you get may not look exactly like the picture. They both work the same. You will need to install the chainrings when you get the crank. There is a $650 security deposit that will be authorized to your credit card before we ship the cranks, and refunded when we get them back. We will charge your card $25 per week that the cranks are kept past their due date.